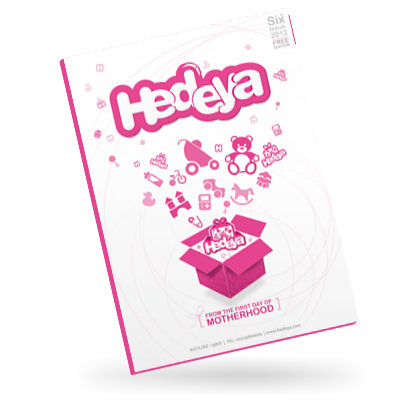 Hedeya Catalogue is simply dedicated for that wonderful, frustrating, hectic, hilarious, amazing & rewarding experience called “Parenting”. We simply allow you to enjoy the precious moments you can grasp while taking care of your little angels. You dream and we simply make your dreams come true with a simple phone call to our well-trained team. From distinguished products that you wont find anywhere else to informative articles and valuable information you will find all what you need inside our valuable shopping catalogues. "Do not forget to order your free copy with your coming order"